Talking about Germany or Dentistry in Germany dentistry is a branch of medicine that focuses on the prevention, diagnosis, and treatment of diseases and disorders of the oral cavity, such as teeth, gums, jawbones, the mouth and oral tissues. 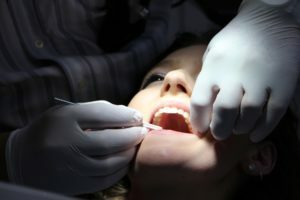 Dental well-being is considered important for the overall health, and dentistry studies are a highly popular specialization in the medical field. University of Applied Sciences offer study programs in dentistry. Students will be doing PSP medicine professional course specialised medical terminologies course in Germany to get medical license and work as Assistant doctor in Germany via approbation. On the graduate level, dentistry students can choose a further specialization by completing a Master in Dentistry program. Which can be aimed both at aspiring dentists and at working professionals who wish to continue their education, learn about recent developments and practice new methods. In Germany for specialization or Super Specialization courses via PSP which includes BPT BDS MDS MBBS doctors they should have more than 50% in their Academics and definitely will look for I’ll score as well at least 6 bands each IELTS/PTE module apart from us we would require German language at A2 level certified by GOETHE in home country after that all the other levels required level B1 B2 C1 C2 telc would be provided by University of Applied Sciences where they would be taking admission especially Fachhochschule via study in Germany for Doctors. By the end of the year the student or the doctor will be placed in a good hospital as an ASSISTANT DOCTOR and they will be start earning somewhere around 4900 EURO per month with their MD or PG SPECILIZATION studies. You will be also working for your GML that is GERMAN MEDICAL LICENSE. You will get this license after your first year. Taking about the German university or UNIVERSITY OF APPLIED SCIENCES are W.H.O and M.C.I approved as well as recognised by these two organizations worldwide.